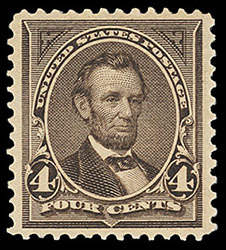 1895, 4¢ dark brown, o.g., never hinged, exceptional centering amid wide margins, rich deep color, an Extremely Fine gem, a choice never hinged stamp; with 2001 P.S.E. and 2002 P.F. certificates. 1895, 5¢ chocolate, o.g., never hinged, precision centering amid large beautifully balanced margins, strong bold color and very fresh, Extremely Fine to Superb, a wonderful never hinged gem; with 2003 P.S.E. certificate Graded (XF-Sup 95, SMQ $850). 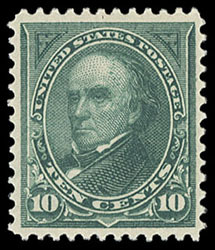 1895, 10¢ dark green, o.g., never hinged, rich deep color, attractively centered, Very Fine to Extremely Fine; with 2004 P.S.E. 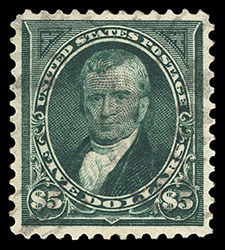 certificate Graded (VF-XF 85, SMQ $450). 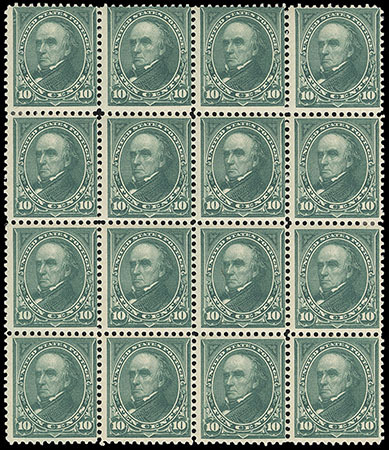 1895, 10¢ dark green, block of 16, o.g., never hinged, rich color, Fine, a very scarce large multiple in never hinged condition. 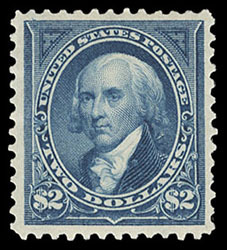 1895, $2 bright blue, o.g., hinge remnant, wide margins and rich color, perf tip added at upper left, Very Fine appearance. 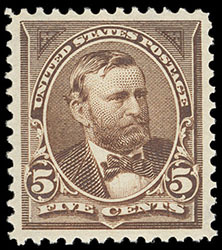 1895, $5 dark green, light oval cancels, rich deep color, choice centering and well balanced margins, Extremely Fine; with 1992 P.F. certificate. 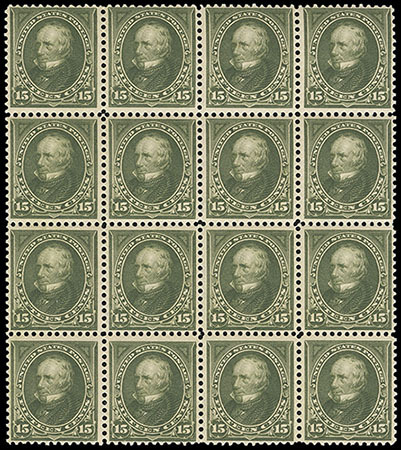 1898, 15¢ olive green, block of 16, o.g., never hinged, fresh with rich color, F.-V.F., a very scarce large multiple in never hinged condition.